All the Universities in Ukraine are of world class and all the universities of Ukaraine comes under Bologna Agreement of European Credit transfer System.With almost 50 european countries, you’ll find end number of satisfactory popular ukrainian universities where your future is secure. The below mentioned list of ukrainian universities that are widely spread across Europe including the directory of the Central European Universities, admitted to the European Association of International Education. Aspirants studying in the mentioned ukrainian universities can easily transfer to universities falling in countries like Western Europe, UK & USA. 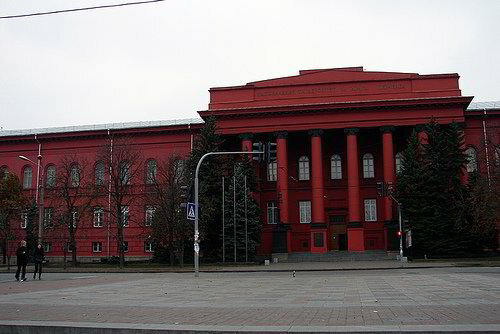 Medical Universities in Ukraine are recognised by WHO, UNESCO, USMLE & PLAB. The Specialists from these Universities are working in Western Europe, Uk & USA. We have shared here all the list of universities in ukraine so that you can have an idea of the potential of ukraine universities. All the universities of ukraine are government universities,their is no private university in ukraine,so international students can choose to study in ukraine universities without any doubt.